The chief marketing officer (CMO) is the highest-level representative of marketing in a firm, giving marketing a voice in the top management team and critically shaping the firm’s marketing strategy. However, the business press has questioned the contribution of CMOs to firm performance, also by pointing to the short tenure of executives working in that position. Indeed, some research studies find no impact of CMOs on sales growth and shareholder value. However, other studies do find an effect, with the mixed nature of the findings indicating that CMOs do not automatically add to firm value, but rather some do while others do not. The value of having a CMO in the top management team is not the only controversy, but more fundamentally, mixed empirical evidence has also left a question mark over the economic value of spending on marketing per se. 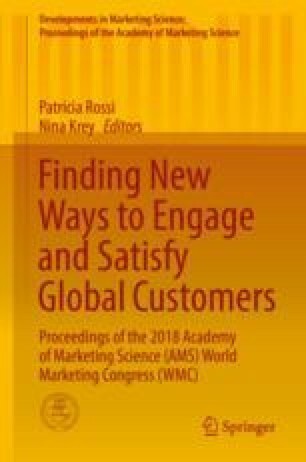 Using a managerial capability and resource orchestration perspective, we propose that the two major controversies in the marketing literature regarding CMOs and marketing spending’s firm value contribution can be brought together and be reconciled. In brief, our conceptual perspective suggests that marketing investment needs managerial marketing capability to be effective and that CMOs likely differ in terms of the level of managerial marketing capability they possess. More specifically, we conceptually link personal characteristics (e.g., education, experience) of CMOs to three capability drivers—CMO’s human capital, social capital, and managerial cognition—in order to explain differences in managerial marketing capability. Further, we propose that managerial marketing capability drives CMOs’ ability to orchestrate effective marketing investments and marketing asset deployment decisions, resulting in enhanced firm value effects from marketing spending. To test our conceptual model, we collected data from multiple sources (e.g., Execucomp, Bloomberg, Compustat) over the time period from 1997 to 2014. To simultaneously estimate the different relationships of interest, we specified a three-stage least squares (3SLS) model. The results of the model show that CMO’s marketing and firm experience, but not industry experience, as well as education, and support through other marketing executives in the firm positively predict a CMO’s managerial marketing capability. Finally, providing support for our conceptual perspective, the estimation results show that managerial marketing capability strengthens the relationship between marketing spending and firm value, revealing an important pathway through which CMOs contribute to firm value creation.